Subosc return with a new four track EP from Spanish producer Blovk. The Italian label continue to tread down the path of releasing quality psychedelic techno with 015, an EP which highlights the sonic prowess of the genre. Textured, organic sounds swirl around like the intricate details of a mandala sequence; panned to perfection to create a fully immersive stereo image. 015 begins with Vibrational Variables, a slow-moving number which sets the rhythm of the record with a slinking motion. A swirling bassline, equal parts polished and gritty, is laid over a bouncing kick, with plenty of peripheral tones thrown in to add depth. The beat gains momentum and intensity, and is joined by more swirling melodies and a trippy lead that slightly resembles bubbles popping. 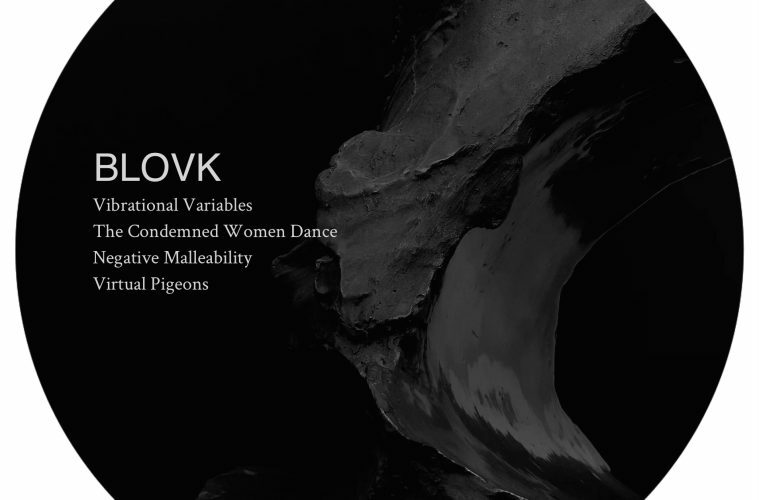 Structurally, Vibrational Variables is laid out wonderfully, allowing all of the elements of the track to breathe fully, showcasing Blovk’s sound design capabilities. The Condemned Women Dance sees Blovk producing a more dancefloor directed tempo, with a thumping kick being accompanied by rising psychedelic melodies. Blovk’s ability to gradually raise the intensity of a track to its apex is displayed here. Wonderfully placed drums are laid down over highly textured melodies to bring the track to a peak which would guarantee any crowd to be spellbound by the DJ. Negative Malleability continues to bring 015 to a more intense place, with more bleeping tones being added to the mix. The drum pattern here is more rapid than previous tracks and adds a degree of fierceness to the rhythmic structure. Texturally the track builds wonderfully, with no one particular tone taking the forefront for too long, making for a wonderful listening experience as the track weaves in and out of different tones and melodies in a stylish manner. Virtual Pigeons continues on the more poignant mood set prior, but with less intensity. Gritty melodies rise and fall in the periphery and are accompanied by panned, bleeping psychedelic tones and a more straight-forward rhythmic structure. Blovk’s understanding of producing psychedelic techno is visible here, at the track grows continuously, but never comes to a peak. The sounds develop a secondary function through continuous repetition. Blovk’s debut on Subosc showcases his talent as a producer to make psychedelic techno that transports the listener into another realm of consciousness. The Spanish producer’s sound design abilities are visible throughout 015 and leave the listener wanting more.